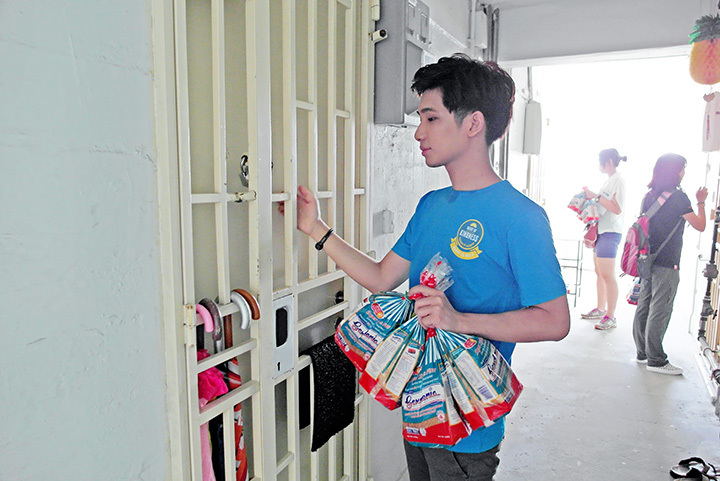 Our agenda today is to distribute Gardenia loaves door-to-door to needy households! It's so touching to see so many volunteers waking up this early on a weekend and get together to do a good cause for the society. With Sheila and Joyce! 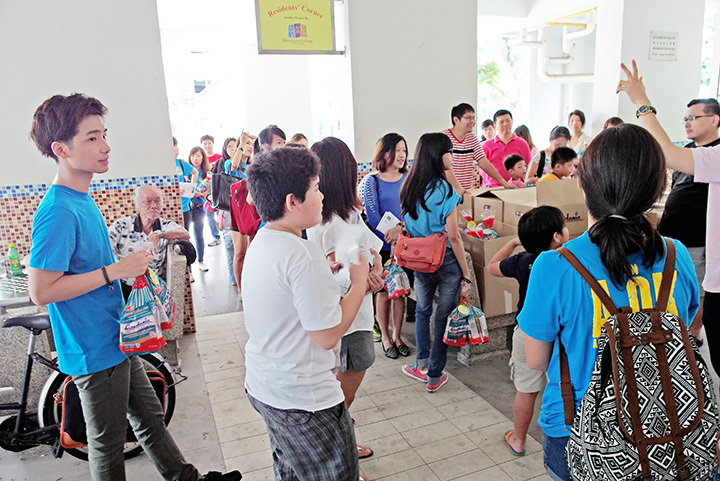 After briefing and grouping up all the volunteers, we are all ready to go distribute the Gardenia loaves! 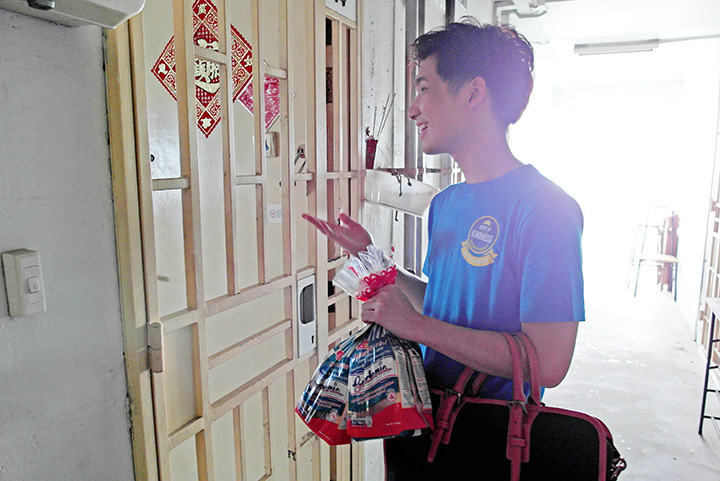 Really excited because this is my first time going door-to-door to help the needy, thus I'm not sure what to expect! Things that might seems common to you, might means a lot to others. Time to start distributing! Let's go! Some of the levels are not accessible by lift, so we have to take the stairs. 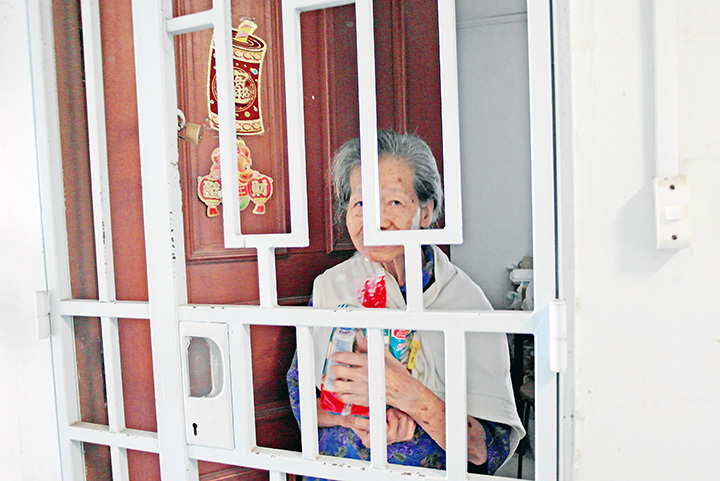 We started by knocking on their doors, a little harder than usual because some of them might not be able to hear well since they are old. We also called out by telling them we are here to deliver bread while knocking on the door. I couldn't really describe how I felt when I saw the elderly opened their door eventually and smiling so happily when they saw us. It's kinda emotional I must say, in a good way. Where little things like this can actually make their day! After we completed the whole level as a group, we will move on to the next level! 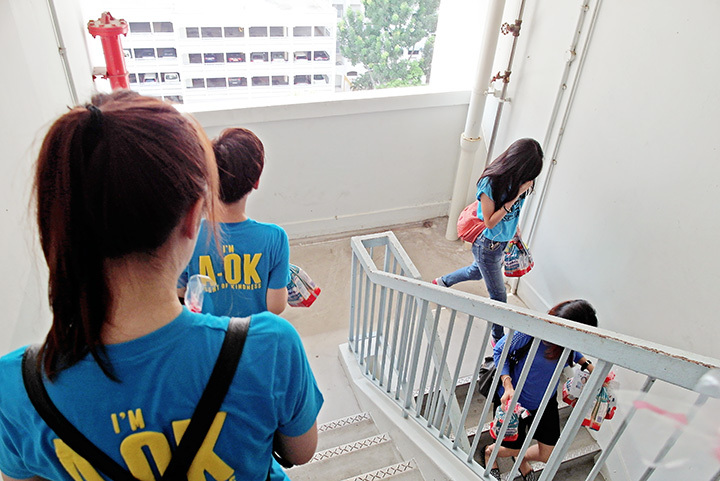 A quick briefing again before we head up to continue to distribute the bread. Sometimes we got no answer, because nobody was in. Sometimes we got answer from them, but they rejected us without wanting the bread. But what made me smile was seeing the elderly smile. And also to listen to their stories. Some of them are living alone, thus they might be lonely and need someone to talk to. I'm glad that I was there listening to them and hearing their troubles, worries, stories or even life advices to me. I must say these experience that I had, is so different from what I've usually done in the past. I know previously, we also did quite a few good cause together where we raise money and donated it to charitable organisation. 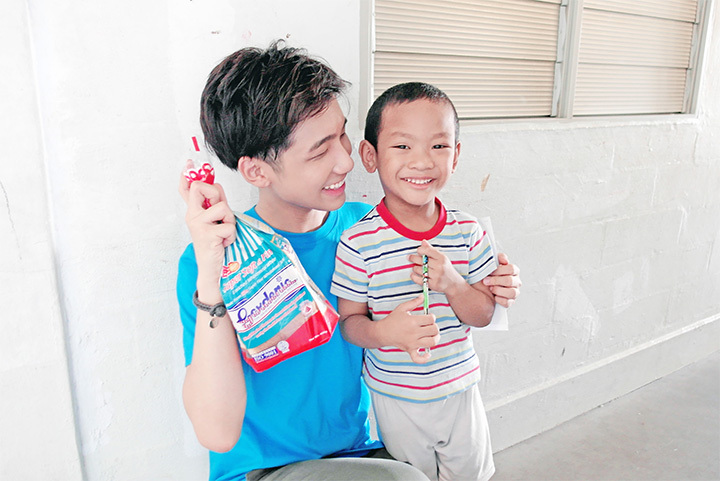 The most recent one was the ALS Ice Bucket Challenge where we donated money to for charity after doing the video and also, the sale of #BenRanAway tee shirt where we did it together with all of you guys! 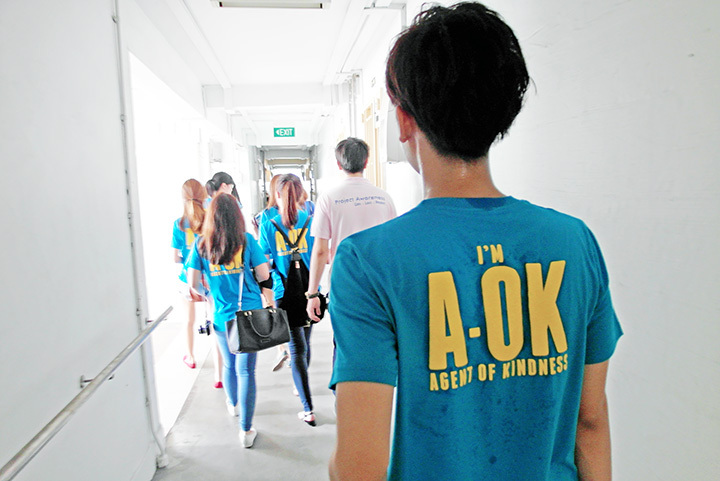 We managed to raise a total of $1500 and we donated it to Singapore Children's Society which was really awesome! I'm really very happy and thankful that together, we have taken such a huge step to help the society and it actually means a lot to me. But physically going down to see all these elderly really evokes another kind of (great) feeling which I think many of us should also experience. 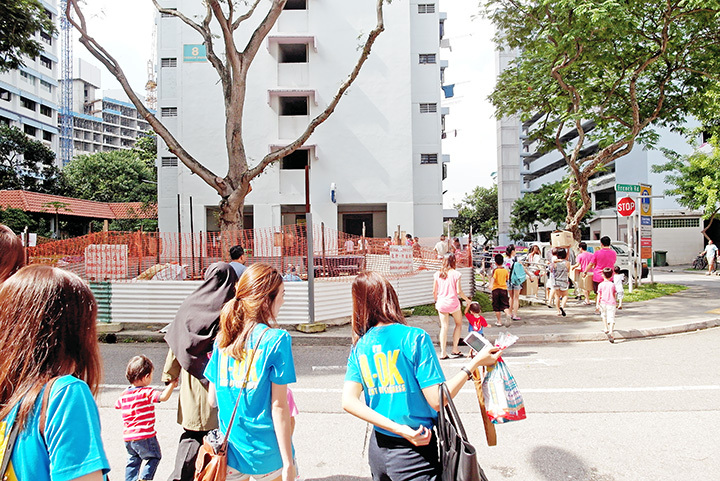 Moving on to the last few blocks because all the cartons of Gardenia loaves were about to finish from distributing! "Hello aunty, uncle! 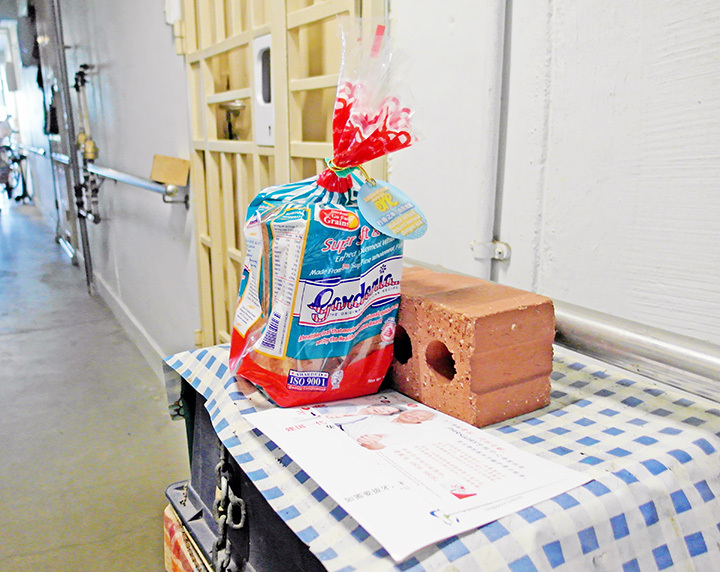 We are here to deliver free bread! Free bread! Hello!" I'll always try to wait a little longer after knocking and calling them because they might take time to walk to the door. And it is always true, most of them actually opened their door after some time. Glad that I waited a little longer for them. 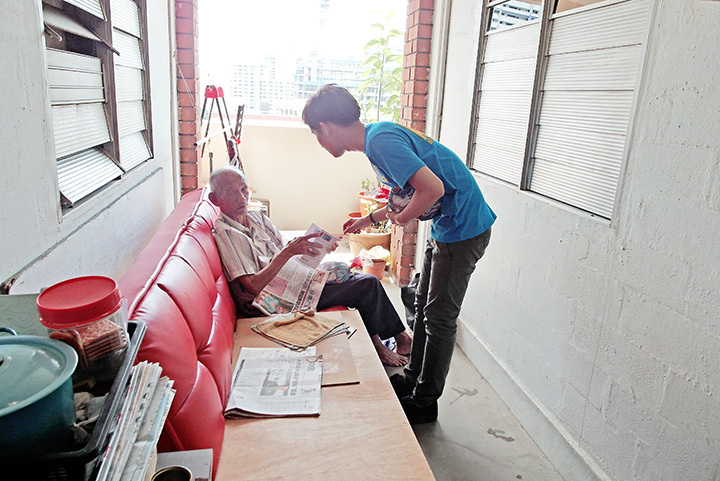 Saw this cute elderly sitting outside his corridor reading papers, who didn't managed to hear us until I got in front of him. Today we can make someone's day! And did you know you can help too? Yes, just by doing what you love and always do daily! 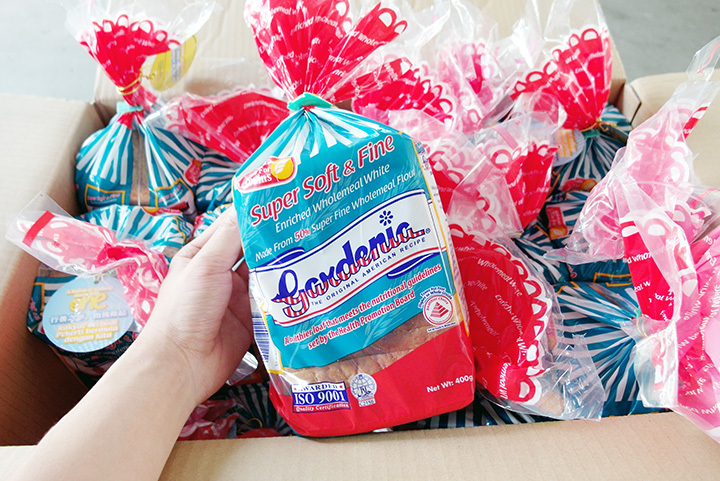 All these Gardenia loaves are actually raised by all the people that hashtag #NationOfKindness and they managed to raise 2000 loaves of bread to be given to the needy families (which was what we are doing, helping to distribute)! Thank you! With the advent of smartphones, our lives have become deeply entwined with social media, and we’re constantly susceptible to the negativity that exists in this space. 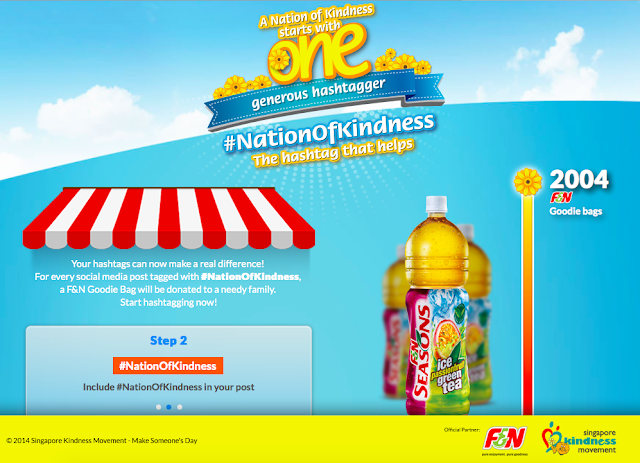 So a #NationOfKindness is to encourage all social media users (which is basically all of us) to post something kind. It can be a kind act carried out, kindness witnessed/received, or simply encouraging words for others on your social media platform. To simply put it, it wants to bring out the good in people even with your words! 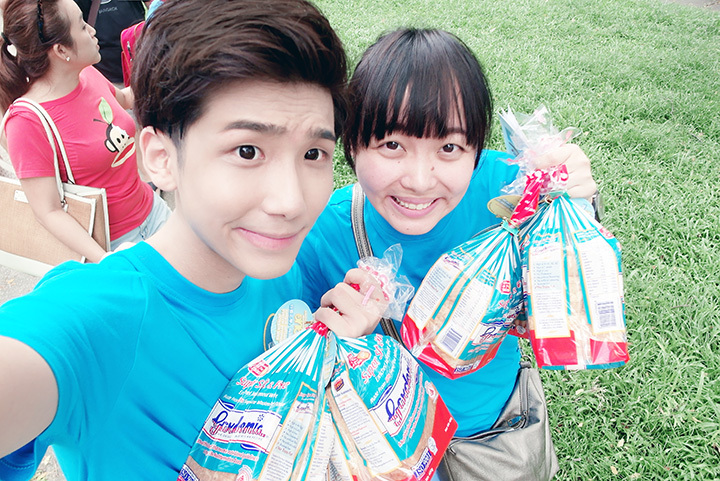 So for every post with the hashtag of #NationOfKindness, the sponsors (F&N in November and Super in December), will pledged food items to be donated to needy households and to help the less fortunate. I did contribute too! 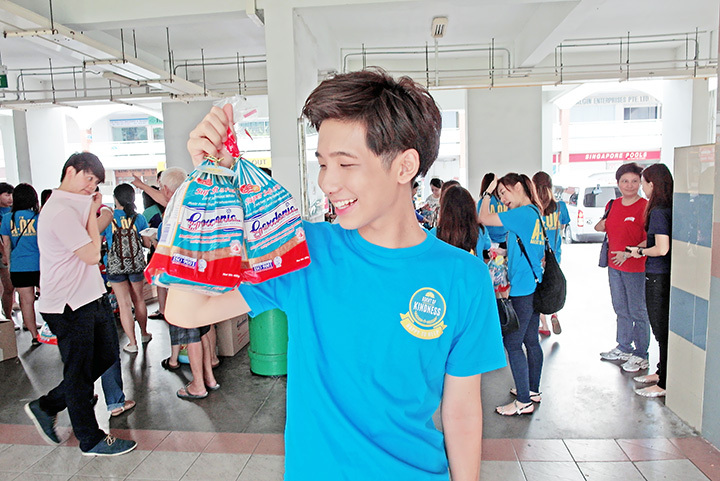 It's really simple and look, I've just contributed 2 posts which equals to 2 goodie bags for the needy! On my Twitter and Facebook! Will also do it on my Instagram soon too! It's such a simple act of including a hashtag and it can actually help raise goodie bags to help the less fortunate, I don't think why we all shouldn't do it! 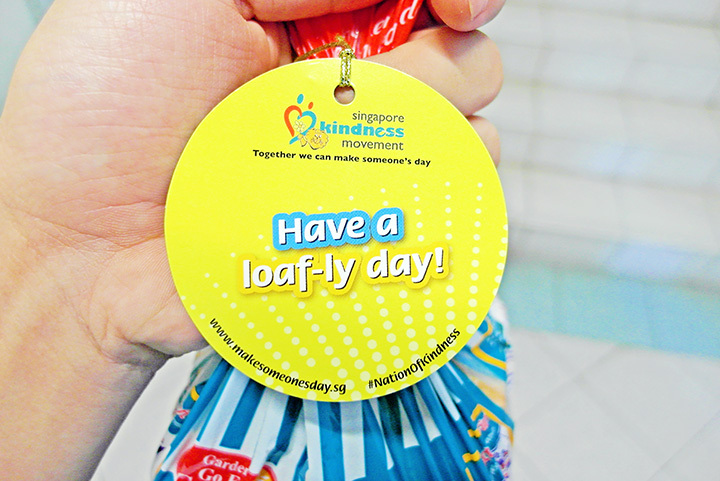 And you can also go to http://makesomeonesday.sg/#!/nation_of_kindness to check out the number of goodie bag raised so far and also all the social media posts with #NationOfKindness hashtag! 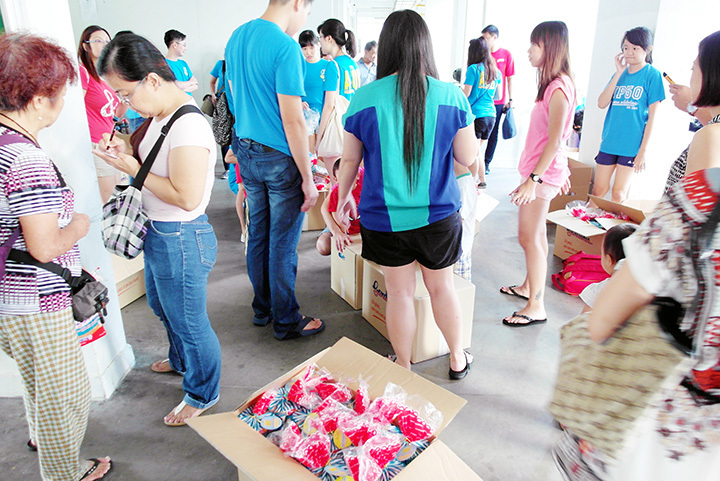 Yay already over 2000++ goodie bags raised for November! 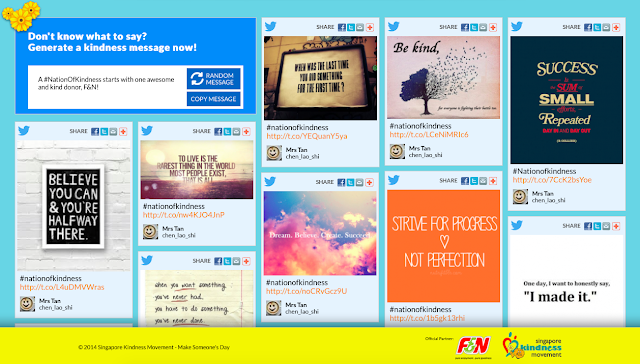 And if you scroll down, you will see all the posts with #NationOfKindness hashtag! Thank you everyone that did your part to help! And it's really easy, you just need to hashtag your social media posts! For those who haven't done it and wanna do your part, please join us today to spread the words and help raise more goodie bags!